Cream of tartar is a kitchen staple used in baking, to stabilize whipped cream or egg whites and to clean metals and remove laundry stains. This miraculous product starts out as potassium bitartrate that crystalizes inside the casks used to age wines and is then purified and ground into powder. why buy cream of tartar? Versatile baking ingredient and household staple. storage tips Store in a sealed container away from moisture, heat and light. appearance & aroma White crystalline, odorless powder. culinary Use when making cakes, cookies, pies, pancakes and meringues. household Cream of tartar can be used as a laundry aid or metal polish by mixing it with lemon juice or distilled vinegar to form a paste. Combine with citric acid to fight tough laundry stains. Add cinnamon and cream of tartar to pancake batter to make pancakes sweeter and fluffier. No remarkable flavor or aroma by itself. 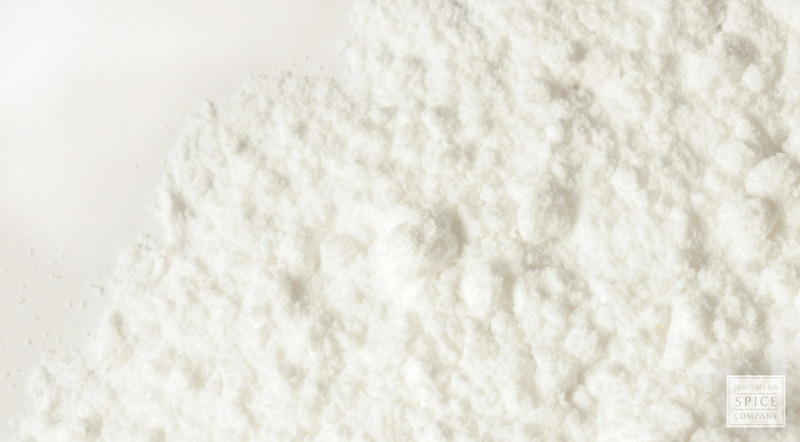 Cream of tartar, known in chemistry circles as potassium bitartrate or potassium hydrogen tartrate, is a crystalline substance that precipitates out of solution when grapes destined to become wine undergo fermentation. You might notice these tiny crystals, referred to as beeswing in the wine-making industry, buildup on the underside of wine corks at home. Although this may seem like a fairly modern “discovery,” there is evidence that cream of tartar was in use at least 7,000 years ago. The powder has many culinary uses. For one thing, it’s a component of some varieties of baking powder. In this capacity, and also in recipes that include baking soda, cream of tartar produces carbon dioxide, which makes pancakes, biscuits and other baked goods rise. It also prevents the crystallization of sugars, which is why it is essential in confectionary treats like Turkish delight. Beaten with egg whites, cream of tartar lends stability to meringues and meringue toppings. 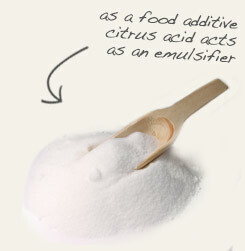 Background: The white powder we know for its various uses in kitchen alchemy is an important by-product of winemaking. 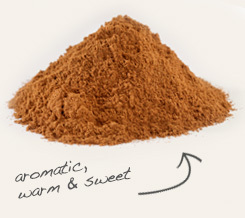 Forming initially as a red-brown substance called argol, or beeswing, it matures further into tartaric acid flakes, in the inside of wine casks. Collected, then refined by a process whereby it is neutralized with potassium hydroxide, it is then ground into the fine white powder we commonly know as cream of tartar. Tartaric acid, known in antiquity as tartar, was first isolated from potassium tartrate, around 800 AD by Persian alchemist Jabir ibn Hayyan. The modern process was developed in 1769 by Swedish chemist CW Scheele. The chirality of tartaric acid was discovered in 1832 by Jean Baptiste Biot, who observed its ability to rotate polarized light. When burned it produces a blue color flame, indicative of its high potassium content. The uses and processes of making cream of tartar were further developed in French cuisine. Ancient traces of calcium tartrate were found in northern Iran, this is seen as further evidence of a human history of winemaking of more than 70 centuries. Cream of tartar increases volume and is stabilizing to whipped egg whites: 1/8 tsp per egg white. Gives creamier texture to candies and frostings, and is used in many commercial, sweet food products. Prevents crystallization of sugar syrups. Used in cooking vegetables to reduce discoloration. Used in photography products. Mixed with water, and sometimes vinegar, cream of tartar as a paste is used for cleaning metals such as coins, brass, copper, pans, stove parts and other hard-to-clean metal surfaces. Older recipes may call for the use of cream of tartar with baking soda. Baking soda now contains both. Storage: When stored properly, cream of tarter has a virtually infinite shelf-life. When any caking occurs, it can be pulverized for use. Added to various recipes in very small amounts. It is also used for cleaning metals. Description: The white powder we know for its various uses in kitchen alchemy is an important by-product the making of red wines. Attaching to the inside of wine casks, it forms initially as a red-brown crystalline substance called argol, or beeswing, maturing further into tartaric acid flakes. Collected, refined by a process of extraction of the potassium salt, half neutralized with potassium hydroxide, it is then dried and ground. Safety: There is no known negative safety information for this substance.